For this year’s competition there will be prizes for the best group and the best individual. No theme this year so get those imaginations working! Will the Rainbows hang onto the group trophy or is there another group in the village up to the challenge??!! Great prizes up for grabs…..
Just picked up a voucher for a back, neck and shoulder massage at the fantastic Senses Salon in Aberagie – sadly not for me but a lovely donation from them for the raffle at the fete on June 15. We can add this to the other vouchers we have as prizes – 2 x £25.00 vouchers for Jamesfield Garden Centre, a family day ticket for Active Kids, a bowling session voucher for 6 at Noahs and two hours of cleaning or ironing from Squeaky Clean Cleaning Services. Lots & lots of other great prizes too, do you have the date in your diary?! Author Sue SmithPosted on May 26, 2013 May 26, 2013 Leave a comment on Great prizes up for grabs…..
Two more sponsors for the fete. Planning and fundraising for the fete is going into top gear with less than a month to go, and so we are delighted to announce that Branston Ltd have once again made a very generous donation to the fete funds and are acting as our main sponsor. Branston have supported us, and a number of other village projects / groups over a number of years so we wanted to name check them and say a very big thank you. 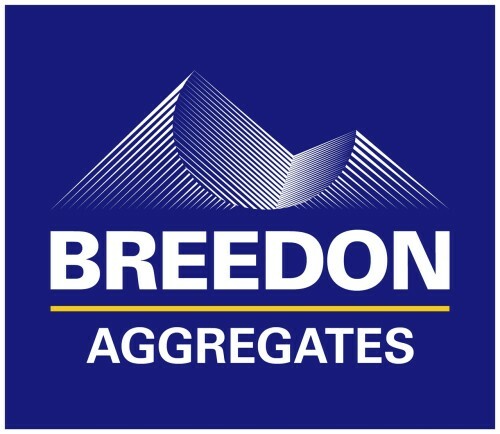 We are also pleased to tell you that Breedon Aggregates have sponsored the fete this year. Given the donations we have already announced it’s nice to see that, even in the current financial climate, local businesses are willing to help out and support the community. 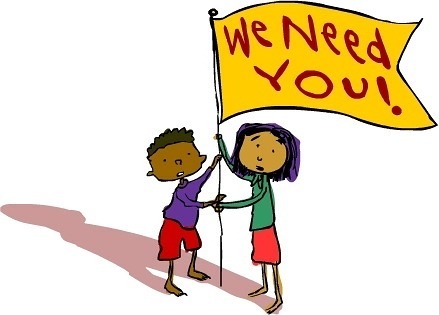 Williamson Hall is run as a charity and relies on the annual fete to make ends meet and cover running costs so thank you to everyone who helps out with time, money or donations and who comes along on the day to have fun and support the hall. Author Sue SmithPosted on May 16, 2013 May 16, 2013 Leave a comment on Two more sponsors for the fete. Having a sort out at home or need some motivation to have one? Feeling creative in the kitchen? Want to cut down on your alcohol intake but drink cupboard overstocked? * Well, we may be able to help! 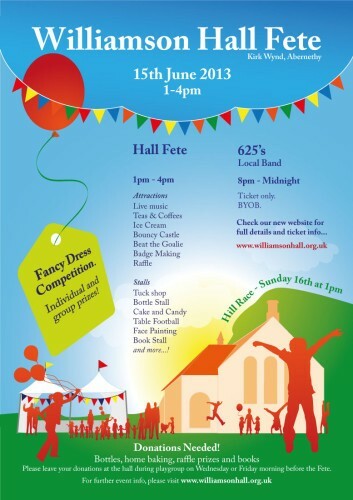 We are after donations of books, raffle prizes, bottles and home-baking to help with the fete. If you can lend a hand with any or all of these then you can drop off your donations at the shop in Abernethy (who, by the way, are now on Facebook – Abernethy Licensed Store ) or you can hand them to Gail Meek, Jill Young or Sue Smith (give us a call first please to make sure we are about!). They can also be dropped off at the hall itself on the Weds or Fri morning before the fete. Home-baking only on the Friday please and a big big big thank you in advance. * yeah we know, not this one really . Tickets will shortly be on sale for the evening do on the night of the fete. If you missed the details it’s 8 pm – 12 midnight at the hall on Saturday 15 June. The fantastic 625’s will be performing for us again and you really shouldn’t miss the chance to come and dance the night away. Tickets are £8 each as this year we will be running the evening as a BYOB (bring your own booze) event rather than providing a bar. You can get hold of them from Mo Laing (0 7803 827769) or Ang Campbell (0 7540 485420). Book early to avoid disappointment! We have our official fete poster for 2013! Planning is well underway for the Williamson Hall Fete which will be held this year on the 15 June. The hall is dependent on fundraising activities to remain in operation and provide funds for it’s running costs, and the annual fete is our main fundraising event, so we are delighted and very grateful to already have been given generous support for it by two local companies. and Jamesfield Garden Centre have kindly offered us two gift vouchers as raffle prizes. The fete is shaping up to be a great day for the village and a fun event for all the family so pop the date in your diary and watch out on here and on Facebook for more information as we are able to announce it.